What's eye-opening, here, is the softening focus on analytics skills and the huge increase in the need to understand automation and better define business outcomes. I've long preached that you can't really get the data your organization needs real-time, if you don't have well automated processes to generate it in the first place. It's becoming clear that staff have to be less focused on creating data, overseeing operational processes and performing routine tasks, and much more adept at figuring out how to make better sense out of what they are doing to achieve more measurable, value-add results (outcomes) for their organizations. While we can all obsess about a future where any work requiring any sort of basic logic will be automated, where we won't even need to think anymore, because machines will do that for us (in fact, we won't need to do anything anymore except exist, or maybe play golf or twister or something...), the market for good old-fashioned BPO is quietly picking up very nicely as several smart providers, quite simply, are getting better at developing offerings that are much more effective, profitable and scalable. One such service provider, which has been quietly going about its business very effectively of late is EXL, which has been enjoying a record stock price this month and very healthy improvements in profitability and revenue growth this year. 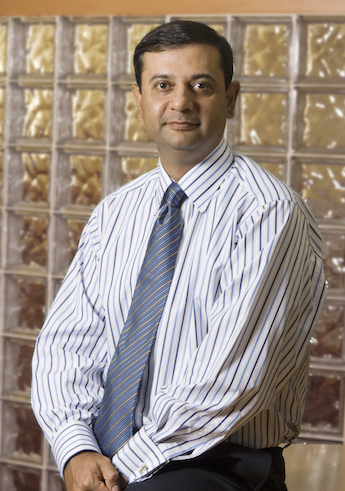 I first met a fledgling EXL before the firm went public, back in 2006, and was immediately impressed by the hands-on steely determination of its CEO, Rohit Kapoor, and his close-knit team of process-obsessive young managers. Fast-forwarding a decade, and that same firm has passed the half-billion dollar revenue threshold, developing deep process niches in verticals like insurance, banking and healthcare, while building out real global depth and competency in analytics and finance and accounting. And it's this breed of provider which is really beginning to thrive in today's As-a-Service Economy - small enough to be nimble to cater for needy clients, large enough to take on complexity and scale, and resourceful enough to lay the groundwork for multi-tenant As-a-Service offerings for the future. 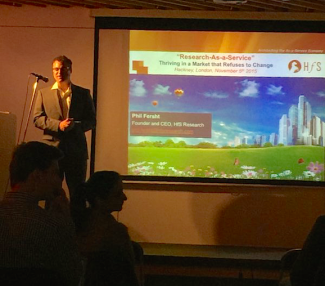 Phil Fersht, CEO and Industry Analyst, HfS Research: Rohit, it's great to have you with us today. I think I've known you nearly 10 years - and it's the first time we've had you on HfS to talk to our audience. So maybe you could give us a little bit about your own career background, what you started out doing and how you ended up running a major BPO firm like EXL? Earlier in 2014, we introduced to the world the concept of the As-a-Service Economy and how it is fundamentally impacting how business and IT services have to be fashioned, solutioned and delivered. Enterprise service buyers and providers have little choice but to evolve how they manage their services, or face extinction. 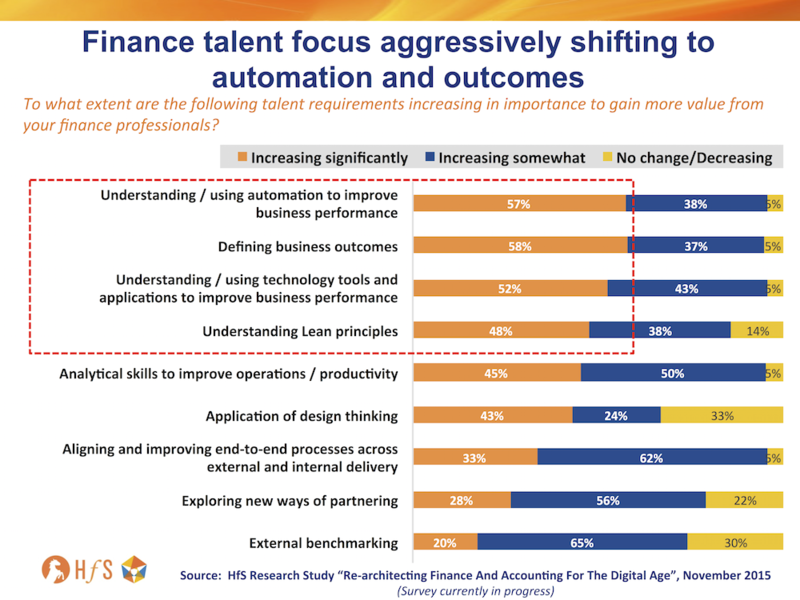 This means both parties need to make genuine investments in their underlying process architectures, reorient their talent capabilities and make some short-to-medium term sacrifices in their financial models to remain viable in the As-a-Service Economy. The same issues apply to sourcing advisors and analysts that face increasing irrelevance if they fail to adjust to the shifting demands of what it means to be an “As-a-Service Enterprise” in this new economy. 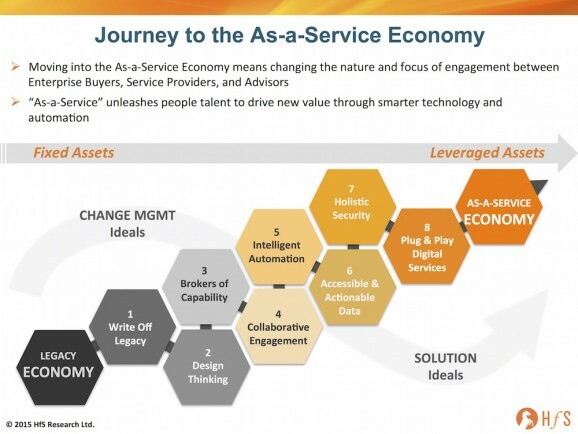 The legacy model of IT and business services sales and delivery that has dominated the industry for decades has rapidly become obsolete in our increasingly digital world, where speed, agility, flexibility and re-invention are no longer optional, but core characteristics for the success of any As-a-Service Enterprise. 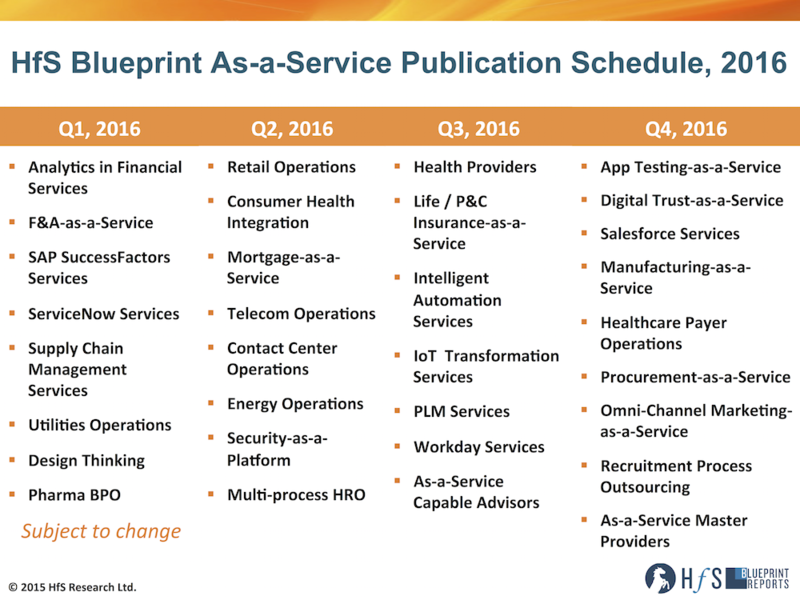 For HfS, As-a-Service is about continuous progression, where enterprises do not pause at a status quo state. Instead they are continually exploring better ways to automate processes, access rapid meaningful data, and advance self-learning capabilities in a secure, trusted environment. Our thinking about the Ideals of the As-a-Service Enterprise also has progressed this year. We now segment the ideals into Change Management Ideals and Solution Ideals that intermingle and build upon each other on the journey to the As-a-Service Enterprise. This journey will require significant change management, and through the course of 2015, we have seen encouraging examples of that throughout the industry, especially with efforts to simplify and automate increasingly unwieldy legacy operations and technology. We could write and talk for hours about the unwillingness of enterprises to change the status quo to achieve better results. But ultimately it all boils down to the leadership of the enterprise having the appetite to go out and find a trusted partner that is motivated to share the risks of this transition within a financial model that works for all parties. Middle management will always resist anything that doesn’t pay them more, make them happier and more excited, or more motivated to perform. The only way forward to achieve genuine plug-and-play digital business solutions is for service providers and enterprises buyers to embrace real design thinking concepts and work together continuously in a much more collaborative and transparent fashion. This means they need to invest in talent, in training, in change fundamentals—and ultimately in solution fundamentals. In sharing our thinking on the Ideals of the As-a-Service Enterprise through countless client strategy sessions, industry-wide webinars and briefings this year, we have had the chance to test these Ideals with industry stakeholders to understand their relevance and practical applications. What came out from these sessions was that the Ideals fell into two key themes: Change Management Ideals and Solution Ideals. In many cases enterprises approach these ideals sequentially. Welcome Melissa! Can you share a little about your background and why you have chosen research as your career path? Thank you for the welcome, I am very excited to join the HfS team! I have been following contact center operations and customer experience as an analyst for the last four and a half years, and I previously worked within the BPO industry in various roles. 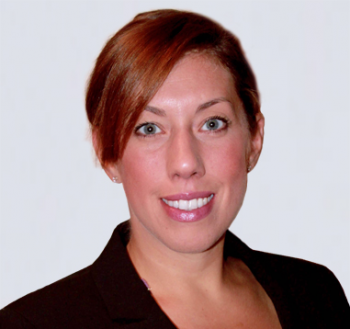 I’ve been an implementation manager, designing and transitioning processes from onshore to offshore- managed client relationships, and have also developed and administered training to groups of new contact center employees and to the trainers themselves. When I got the opportunity to work in market research, I had found the perfect combination of continuing to work with clients on solving problems, but also getting the chance to do a lot of strategic thinking and writing about my domain. I really enjoy research because you’re always learning as the market is constantly changing and evolving – I love the challenge of always having to be that step ahead! I woke up to an interesting piece by Everest's Peter Bendor Samuel yesterday, where he describes how IT service providers have developed their delivery staff into, essentially, "human robots". He goes onto say that, while providers have delivered real value serving up these "human robots" to their clients, their staff no longer wish to work in such a robotic fashion. Millennials. Yes, that strange, fascinating species we all need to be extremely careful not to upset. Remember, we weren't born with Snapchat and Instagram embedded into our DNA, and we have to be very cognizant of the fact they need Youtube playing on their machine at all times, while they try to reimagine our procure-to-pay processes. Remember, these kids weren't introduced into the workplace needing to work for their money. They need to be wrapped in cotton wool and nurtured in an environment with plenty of open spaces, coffee bars, collaboration rooms, movable white boards, a 24x7 gym and a tattoo parlour. The challenge here, is that while Millennials are, on average, more loyal to their employers than their previous generation, how can they all be aligned with adding real business value in the real world? Do we really need as many Design Thinkers as we used to need coders and process managers? Moomers. The weird bunch stuck between Millennials and Boomers. They're half-terrified they need to be effective using social media, and half-terrified they are going to get automated out of existence, as they aren't "Digital" enough to break out of their humanesque-robotic existence. They're trying hard to get to 100 Twitter followers and have got quite adept at posting little essays on LinkedIn, which they think hundreds of people read, when, in fact, noone really got past the headline, with a few sympathetic souls clicking the "like" icon. They really want to be seen as "Digital Transformers" and made sure they added "Digital" into their job titles (as if "being Digital" was what they aspired to be when they graduated from college). Little do we suspect they were also previously experts in eBusiness, Web Services, SOA, Cloud, Big Data, and so on... The challenge here, is most these lovely people don't really have a lot of skills beyond marketing themselves as valuable people, as most the stuff they really do is tactical and highly automatable. Did HfS really just uberize the analyst business? While you can't really do a direct apples-t0-apples comparison between the Uber and HfS business models, what we have in common is the fact we've both leveraged digital platforms to disrupt traditional, slow-moving industries - and with limited infrastructure and resources. 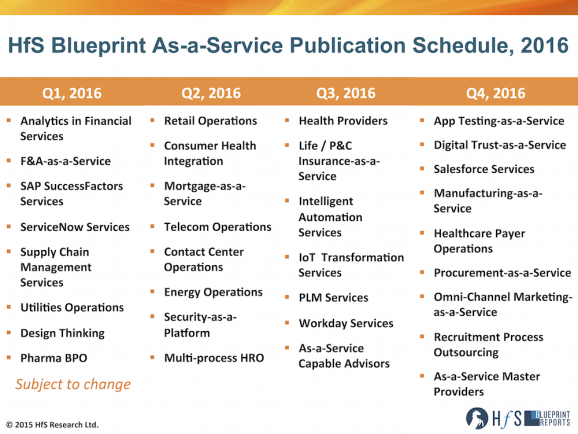 So why is HfS the "Uber" of the analyst industry? 1. We use digital technology, the web and social as our customer platform. At HfS, we do not need to hire armies of expensive, aggressive sales people to grow our customer base. We use our webplatform, a host of digital content and marketing apps, our blog and our social communities to bring the customers to us - at a fraction of the cost. 2. We don't view "customers" as entities that have to give us money. Do Facebook, Twitter and LI fail to influence people because they are free? It's the same with research - why does everyone have to pay money to be considered "influenced". We get over a million visits to our stuff every year, well over 100,000 subscribers to our blogs and research and 15-20k pieces of research being downloaded each month. These are our customers. We just don't believe in making everyone pay-to-play - we are of a size where we are proud to share what we do without slapping a huge paywall in front of the world. 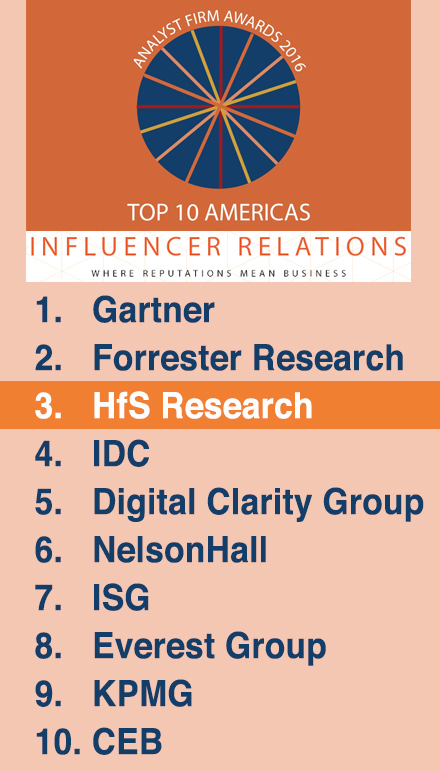 That's why we are already the #3 firm in the industry in terms of reach and influence, after only 6 years in existence. 3. Freemium research, that is compelling and easy to access, is what gets read today. Most people tend to read only research when it's slapped in front of them, that is digestible and compelling. Trying to navigate your way behind an expensively assembled firewall and search engine pretty much loses most people before they even think about trying to reset their password. I recall when I was last working for a "legacy" analyst firm that we were lucky to get more than 15 people downloading a report. Today we have in excess of 20,000 reading them. The difference is, simply, off the scale. 4. The revenue model is different from the incumbents. We don't believe most people really want to pay for libraries of reports any more. They will, however, pay for benchmark and pricing data, competitive analyses and access to awesome analysts, who are fun to talk with and easy to get hold of. We also mix access to our massive global community (both physical and electronic) with the research access. Our buyer clients can come to our industry-leading quarterly summits, while vendor clients can have sponsorship privileges. We believe peer networking and sharing the dynamics of thousands of the global community as a critical part of the Research 2.0 process. 5. The customer experience is just so much better. I love the fact that, with Uber, both the drivers and customers get to rate each other. It's a bit like that with HfS - we love our clients and we want them to love us. We do not put in 1-800 numbers to set up faceless analyst discussions, and we certainly do not stick analysts on competing postage-stamp P&Ls where they cover extremely narrow areas. 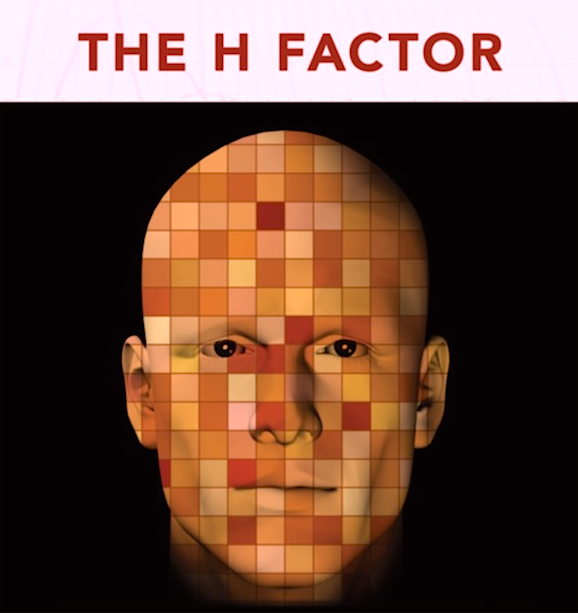 In fact, talk to HfS and you'll likely get a meeting with 4-5 of our analysts within a few days as so many areas are overlapping, if you really need to talk to us urgently. We also make time to hang out with our clients, at our office or theirs. We do this because we enjoy it, not because we just want to get through the ol' 9-5 treadmill. It's like getting into an Uber, where the driver is genuinely grateful to be of service, as opposed to some self-entitled miserable worker who's just going through the motions. 6. The incumbents can't/won't cannibalize their revenues. No-one likes having to drop their prices, while improving their services and customer experience at the same time. It costs money and upsets investors with short-term mindsets. There is also an arrogance when your firm has been printing money for years, and suddenly you have to work for it again. Entitled people just do not want to work harder/smarter and with a better attitude. It's the same for many of these overpriced creaking old taxis that smell like a dog died in the trunk - they simply have lost the ability and appetite to up their game. But, seriously, surviving in a market that refuses to change, such as the traditional IT analyst industry, is all about leveraging digital tech and the web to have a much, much more competitive model in terms of cost, reach and customer accessibility. However, you can use all the cool tech in the world, but it's useless without the human factor to drive it and make the magic work. That's where having a team of motivated, passionate - and genuinely nice people, makes this business successful. While technology and a great business model is what makes the thing function, it's really the people, the socially intelligent attitude and culture which make up our secret sauce. People in the BPO world have noticed that Capgemini has really started to win business in the US over the last couple of years - no longer is the firm seen as largely a European/International player, but a global player with a strong US footprint. 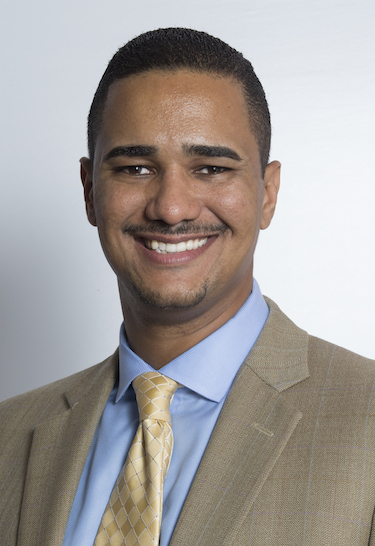 One of the key reasons for this has been the introduction of Mike Small, initially to lead US BPO development efforts, before his elevation to global BPO sales leader after his success helping bring in major new clients such as NBC, Office Depot, UBM and Ferro. Phil Fersht, CEO, HfS Research: Good morning Mike, it's great to have you join us today... please give us some of your background and how you got to the role you're in today. Mike Small, Global Sales Officer, BPO at Capgemini: Great Phil, and good morning to you. I’ve been with Capgemini now for over a year and a half. As far as my current role and responsibilities, I head up global sales and marketing including go to market operations for Capgemini’s Business Process Outsourcing business. The best part of my job is working with clients in multiple industries and helping them address their business challenges mostly around finance and accounting as well as supply chain. Capgemini BPO is a leader in both of these disciplines from a marketplace standpoint. So that is my current job. Prior to that I was working at a major technology firm, again focused on business process outsourcing mainly in the North American market. Specifically with a domain focus in both healthcare and financial services, and again running sales and marketing.